3 step combination free keyword tool by Google Chrome to find rich keyword. In this Digital Marketing world, you have learned or know about plenty of free keyword tool by Google Chrome. To find relevant keyword for your blog content, business content and for product or services content. But you know that there are some presented keyword tools by Google Chrome to find the relevant keyword to find success to rank on search engine first-page result. It does not mean that using that keyword you can rank on search engine first-page result. Actually, it depends on how you can defeat your competitor for that particular keyword. In this post, I am just teaching you that how you can use 3 step combination free keyword tool by Google Chrome and find low competitor keyword on the search result. How to find low competitor rich keyword via using 3 step combination method? 1- Step-Keyword tool by Google chrome keyword everywhere. 2-Step – Keyword tool by Google chrome Keyword Keg. 3-Step – keyword tool by Google Search console. Let’s have a step by step introduction guide how to use keyword tool by Google Chrome? How to use free keyword tool by Google chrome keyword everywhere? Keyword everywhere is a free keyword tool by Google chrome which provides a platform to find out relevant and particular keyword volume, CPC and competitor. It is the most valuable keyword tool by Google Chrome and has a great impact to get or find relevant keyword and that makes most lovable and unique keyword research tool. To use this tool you have to simply go to your chrome browser and search for keyword everywhere. You will redirect to the official keyword tool by Google chrome keyword everywhere dashboard. This is a free keyword tool by Google Chrome to install on your chrome browser. Once you install keyword tool by Google chrome you have to sign up via your email address to get API key to your email box. To use that API key you have to go to the mailbox and check out mail of keyword everywhere. And copy that keyword API keyword and go to your chrome browser and click on the keyword everywhere icon. Next, go to the update setting section and find out validate option, it may be on the upper side box, and then put your API invalidate box. And then click on the validate button to access your Account on keyword tool by Google chrome keyword everywhere. How to set up the setting of keyword tool by Google chrome keyword everywhere on your chrome browser? Keyword tool by Google keyword everywhere provides a simple interface platform which is user-friendly. To set up your setting you need to click on the keyword everywhere icon and go to the update setting. You can change your targeted country for a search result or you can set up as a default global to find relevant keyword. If you need you can change your currency which is indicated to see your CPC rate on keyword tool by Google chrome keyword everywhere. You can find plenty of features on keyword everywhere update setting you can change it as you need or set up as a default. Because some of those features are not necessary to change you can keep it as a default. It’s done now you can see your targeted keyword global search volume or specific country targeting keyword, CPC of that particular keyword and Competitor. How Keyword tool by Google chrome keyword everywhere is beneficial to find rich keyword? Keyword tool by Google chrome keyword everywhere has a great impact to easily find out which keyword will be good to target for your content. Whenever you put your particular niche type keyword or you can say your targeted keyword. It automatically crawls all suggested keyword and other keywords which is shown on that particular pages. In the second step, you need to install keyword keg after setup your keyword everywhere tool as a chrome extension. This is similar to keyword tool by Google Adword and has a great valuable impact to find out best-suggested keyword. HOW to install a freemium Keyword tool by Google chrome Keyword keg? Actually, Keyword keg is a freemium tool but via using free services you can get top 10 suggested keyword information. Like –CPC, Search Volume, trending search volume and competitor for that particular keyword etc. Which is enough to get going to find out a relevant and low competitor keyword to boost your content. To install this keyword tool by Google chrome you have to simply go to the browser and search for keyword keg. You will be redirected to the keyword keg dashboard, it also provides a simple interface dashboard or you can say a simple user-friendly dashboard. On keyword keg Dashboard you will see a requested presentation please install keyword keg. You have to simply click on the install button and you will successfully install keyword keg free keyword tool by Google Chrome. Keyword keg doesn’t show any type of icon on your chrome browser extension. But you can see a red coin indicator icon on keyword everywhere search result. Because it automatically makes a Combination via keyword everywhere extension free keyword tool by Google Chrome. And both free keyword tool by Google chrome provides flexibility to find out rich and low competitor keyword. That’s why you can’t see any icon on your chrome browser Dashboard. How to set up setting to use keyword keg free keyword tool by Google Chrome? To use this free keyword tool by Google Chrome you need to search in your browser to Keyword keg official sites. 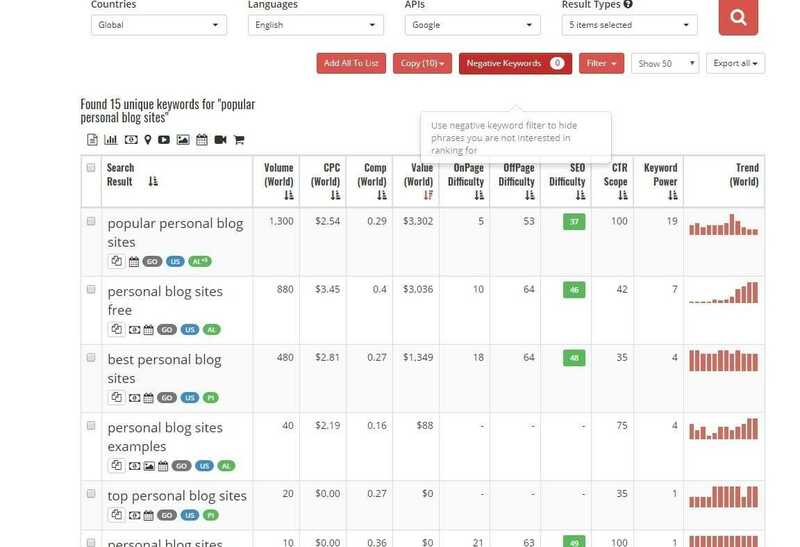 Your keyword keg dashboard will open immediately to find out your targeted keyword metrics. Exp- like –Search volume, CPC, World competition, World value of that particular keyword, on page difficulties, off page difficulties, SEO difficulties, CTR scope, Keyword power, and trending search report. Keyword keg free keyword tool by Google chrome provides a platform to target your keyword via setting up your own Search Metrics. You can choose a specific country to target your Audience. You can choose a specific language to find relevant Audience. Keyword keg provides a platform to do keyword research through Search signal indicator. Like – Alibaba, Amazon, Ask, Bing, eBay, Google, Play store, Wikipedia, Yahoo, Yandex, and youtube. Actually, you can target one or two Search engine to find keyword but you can also select all to get going your keyword research. Do you know that Google search console provide a platform to target a relevant keyword? How to use search console free keyword tool by Google? We all know that to use this free keyword tool by Google you need to sign up in search console and verify your property. And once your property is verified you can click on your property which you have verified. 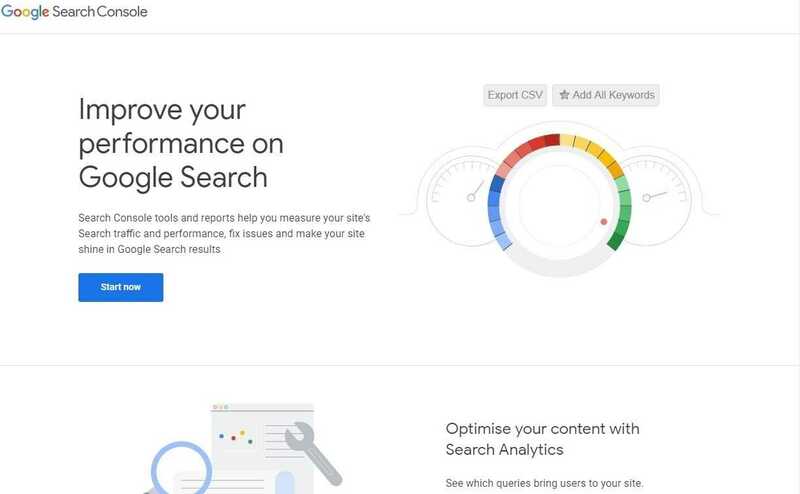 You will be redirected to the Google search console dashboard and there you will get plenty of features to manage your search console dashboard. Like- Overview, performance, Url inspection, coverage, and Sitemap etc. And to find the relevant keyword you have to click performance features on your search console dashboard. Scroll downside you will find key metric of keyword and you will see that most of the keyword has a great impact to target a relevant keyword. Because those keywords are improving your search result and engaging more traffic to your particular Site. Why keyword keg is beneficial to find out relevant and rich keyword? Keyword has a great platform where you can use this keyword tool by Google Chrome to find out relevant and rich suggested keyword in a click. Let’s know how it works whenever you go through your any keyword research to find out best and relevant keyword for your business product or services. Before we start you have to understand that keyword tool by Google chrome keyword keg doesn’t show any kind of dashboard in your browser. It automatically makes a combination via other keyword research tool and indicates its appearance with three red coin icon. Let’s have a look that, how it works for keyword tool by Google Search console and keyword tool by Google chrome keyword everywhere. How you can use the keyword tool by Google chrome keyword keg to find a more relevant keyword on search console? To use this tool you need to go to the search console and log in to your property. Then you will see performance features, you have to simply click on performance it will be redirected to the performance dashboard. And that dashboard you will see a keyword performance that which keyword are engaging traffic on your site. And that particular keyword you will See 3 red coin signal which is keyword keg icon. To find more relevant and suggested keyword for that particular keyword you have to simply click on the keyword keg icon. It will automatically redirect to the keyword keg dashboard. Remember that you will only see a 10 or 11 suggested keyword metrics. If you use keyword tool by Google chrome keyword keg free platform. But still, it is beneficial to get the right and engaging keyword to improve keyword density on your content. If you use their paid or you can say premium services you can scroll out 1000 of a suggested keyword in one place. This way you can combine and use freemium keyword tool by Google chrome keyword keg and search console in the same platform. Let’s have a look at our next combination. How you can use keyword tool by Google chrome keyword keg to find a more relevant keyword on keyword everywhere? Before you know that how we can use or combine keyword keg and keyword everywhere. You have to know that keyword keg has the same impact on keyword everywhere like keyword keg impact on search console to get the relevant keyword. To use this keyword tool by Google chrome keyword keg you have to simply put your keyword on search browser. As before I have mentioned it scroll all suggested keyword from that particular page. And show separately in your search browser below as a suggested keyword and in the sidebar layout and at the footer area. How keyword keg is beneficial and works comfortably on keyword everywhere? While using keyword everywhere on your chrome search browser you can see a keyword keg signal icon, as I have mentioned before in paragraph introduction of keyword keg. Keyword everywhere only shows the Search volume, CPC, and Competitor result for a particular keyword. But as you click on the keyword keg icon it shows a more than 10 to 11 suggestion of which has a great impact on SEO basis. You can use paid or premium of keyword keg to scroll down more suggested keyword. To get more relevant keyword you can target your country and search result in appearance or set up as a default. Why do I suggest this method to find relevant and rich keyword? Actually, I am also a content creator and passionate to write a unique post. But without targeting a beneficial keyword to get ranking on the search result and let more people know about and your work. It was terrible for me for a long time to find free keyword tool to find out keyword which makes senses and have a great impact to improve your search engine ranking. But at last, I find out keyword everywhere keyword tool by Google chrome extension. And after that, I got a free tool keyword keg which combines via keyword everywhere and searches console. Via combining keyword keg to keyword everywhere and search console I find most of the relevant and rich keyword within a minute. Top 15 Plus Best keyword research tool free to boost your Websites ranking. Top 15 best content Management system example to build a Website. In this post, I have simply given a short description of the free keyword research tool. Which has a great impact to find out relevant and rich keyword via doing some simple research? Maybe those keywords are more often used by you or maybe new but in this post, I have mentioned a piece of information. That how you can use keyword keg as a primary tool and combine via keyword everywhere and search console. And get or find out more valuable, relevant and rich keyword by using keyword tool by Google. For query or suggestion related to this post feel free to comment on comment section box. How to make money online faster through blogging free. Top 10 best SEO checking websites to empower Websites search visibility. on the net to learn more about the issue and found most people will go along with your views on this site. with my latest blog and I’d like to find something more secure. Wow. Every time I read one of your posts I realize how much have still yet to learn in this world of blogging!! Thanks for the educational article!!! I have work to do! Great content and information within this post. I learned something new and I can’t wait to put it into action. Thanks! Awesome tips and ideas. I am constantly learning something new from your wonderful site! Want to learn the Best way to master SEO, Digital for your product & Digital services .Subscribe to our mailing list and get interesting stuff and updates to your email inbox.